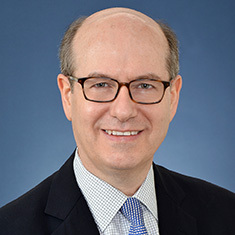 Michael S. Hobel is head of Katten’s Entertainment and Media practice and has more than 25 years of experience representing media and entertainment companies in complex transactions, often dealing with valuable intellectual property rights and assets. Michael represents clients on the corporate side of entertainment transactions, including motion picture studios, television networks, film and television distribution companies, and Internet and digital media companies. Clients call Michael “incredibly effective in driving deals to closure and note his superb overall legal and business expertise” (Chambers USA). He handles matters involving the broadcast of sporting events, video games, merchandising and multimedia, and Internet broadcasts. He also represents companies acquiring, selling and investing in production, distribution and multimedia companies, as well as film and music libraries. Michael is particularly interested in the convergence of entertainment and technology, and is experienced in transactions involving the Internet and other digital media, including electronic sell-through and video-on-demand transactions. He also counsels entertainment industry executives in connection with their employment contracts and individual talent agreements for film, television and music products, and services and advises companies on management and protection of their trademark and copyright issues. Representation of a major television syndication company in its television series business. Representation of an international media company in many of its major entertainment and multimedia transactions and ventures in the United States, including a successful $500 million tender offer for a publicly held entertainment company and its sale of a Silicon Valley multimedia company. Representation of a major motion picture studio in theatrical motion picture and television series production and distribution matters. Representation of a video game company in its acquisition of a video game development company and the interactive games rights to a motion picture franchise property. Representation of a national pay television network in motion picture and series finance, production and licensing matters relating to a wide variety of projects. Representation of a video game company in video game development, production and exploitation matters. Representation of an owner of newspaper, magazine and media properties in entertainment and licensing matters. Representation of a diversified entertainment company in its proposed acquisition of a major motion picture studio. Representation of a leading reality television production company in the production of network reality television series. Representation of a major independent television production company in its television movie, mini-series and series businesses over the last 15 years. Representation of a leading sports organization in its acquisition and exploitation of exclusive broadcast rights to soccer World Cup in 2002 and 2006. Representation of a professional sports league and its licensing operation on motion picture and television projects. Representation of a Spanish-language television network in joint venture and technology transactions, sports and other program licensing, and production matters. Representation of a national basic cable network in numerous development, production and licensing matters. Representation of a leading toy company in a variety of licensing and technology matters and with respect to the exploitation of its highly successful home video product based on its key properties. Representation of a major motion picture studio in a variety of matters, including a long-term international home video services agreement for its motion picture library.